It took courage and humility for Aimee Benefield to share her story. For the past few years, she had been an influential face in the world of energy healing as well as an enthusiastic advocate of a popular mentoring program, 3-Key-Elements. But all that changed a couple of months ago after a sudden “wake up call”, and she is now seeking to warn her fellow Latter-day Saints about what she feels was a dangerous road of deception. The owner of warrior-events.org and faithfilledpreparedness.com said that after much prayer and consideration, she has decided to take down most of her self-improvement trainings and programs, which she had spent countless hours creating over the past three years. She affirmed, “I stand with the leaders of my church” and apologized for anything in her trainings/products that may not have been keeping within the doctrines taught in The Church of Jesus Christ of Latter-day Saints. She says that at the time, she felt that she was truly on the Lord’s errand and thought she was doing the right thing and helping people, but she now sees that she was getting slightly off course. 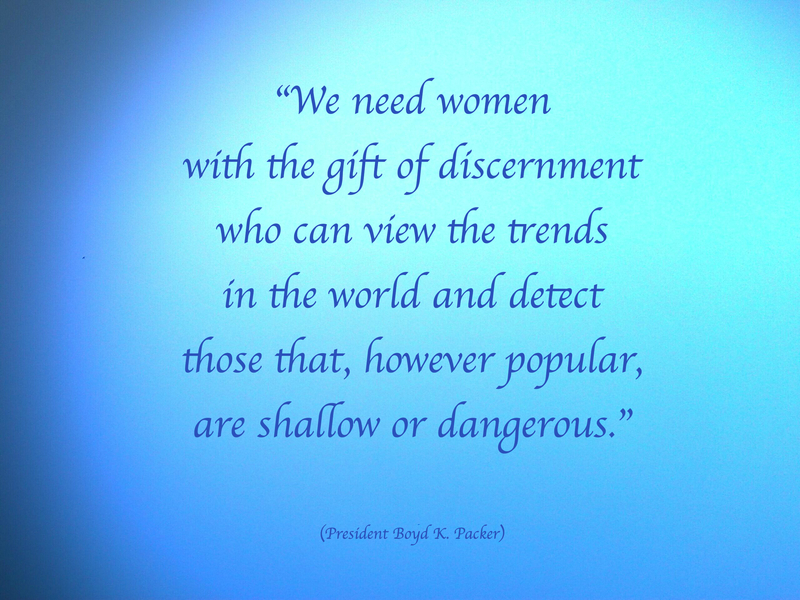 Benefield said that she hopes that some of the things she shares “will help to unveil some of the dangers that are out there right now” because she feels that there are many good, but naive, Latter-day Saints who are unaware of how clever the adversary can be and that “he can masquerade nigh unto an angel of light” to deceive even the very elect. *Of note: Aimee sold many self-improvement/empowerment training courses, but she has never charged money for any of her energy healing sessions. True courage and honesty! I have not been on your website or involved in energy healing but found food for thought in your beautiful comments. Your video was very impactful to me. I am, however, a little unclear about whether you feel that what you were studying and teaching was wrong in its content, or if it was simply your personal distractions from your family that was “off”. Unfortunately my email is broken for receiving so I hope you can clarify this in another video. This is an answer to my prayers. I wish I could thank her personally for sharing her journey to knowing the truth. I have had a similar experience happen to me, very similar in fact. I quit what I was doing about 10 years ago and still get frustrating comments from family members because of my choice to follow the lord. I am so grateful that you were able to recognize Lucifer’s deceit and follow the lord. Through all I went through, I can say that I am so grateful for what I had learned because this is how I learned discernment between spirits. I am so proud of you for changing. Not just changing your thoughts, but also your heart. You are awesome!! The gospel is simple and real, and the Melchizedek priesthood is real. The atonement can bring us back. I also believe that the lord is there to lead us and guide us through our lives. I choose to follow the lord!! She has found her way back. To the pure gospel of Jesus Christ, in its beautiful simplicity. I’ve followed Aimee for the last few years. She’s one of the most faith-filled, humble, & dedicated Latter-day Saints I know. I am a firm believer that this was the beginning of the end of my Marriage. Over 30 years married when my wife became involved in this deceptive work. It drove her to believe that things were going on that simply were not. It has driven a lot of life long friends away due to discomfort when around. Thank you for having the courage to bring this out in the open. I admire your strength and willingness to return to the truth of the Gospel. What a beautiful person a woman of courage and truth! Thank you! Thank you for clising down the website and speaking to your followers. It took courage and it is part if the repentance process to correct our error if possible. I saw an event posted on an LDS single adult facebook page and strongly felt this was not from God. I understand that we all must exercise agency so I made a comment and left it for all to decide. This seemed to me very similar to what the “good witches” believes come from… the adversary deceitful tricks. Your Path is your path and making yourself a light and a source of truth to others is a painful way to live. Only turning them to their Creator and the Son will heal and allow them to find truth for their lives. To call people who do muscle testing and self help methods evil and deceitful is not only self righteous but may border on Priest-craft itself. 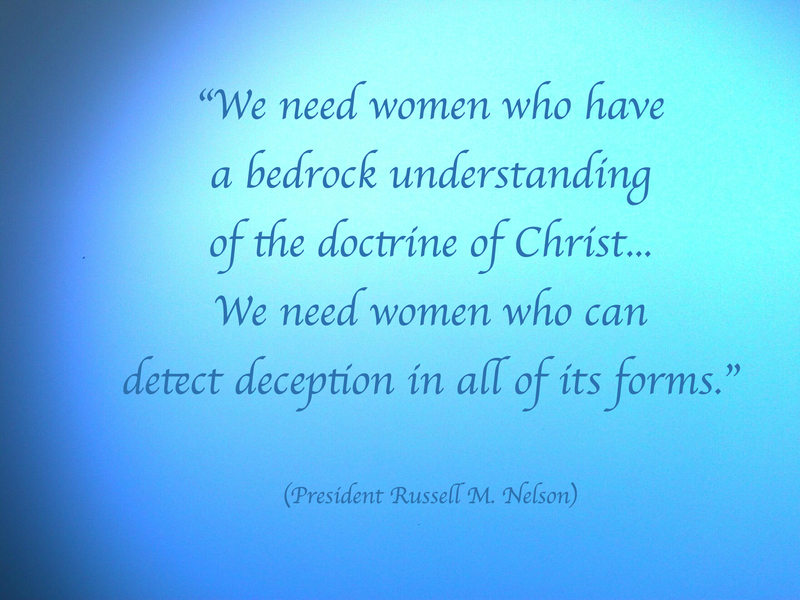 Brigham Young said that the “gospel is big enough to encompass truth wherever it is found.” There is much of truth that does not emanate directly from the Brethren and as president Benson said the way to not be deceived is like a three legged miking stool, 1. The scriptures 2. The words of the living prophets 3. and the Holy Ghost. Love is the answer and blessings to you in your journey, don’t make it everyone’s journey. Wow, you are so brave, Aimee! THANK YOU for sharing your journey so that others can course-correct, too. This is SUCH an important message. I hope many others will realize that they, too, can come back to the basics of the gospel.